Name Origin: Envolee has several meanings and all of them apply to our team. It means taking off - when we sail, we leave our daily luxuries to face the ocean humbly. It also means taking off in a bike race when a couple of racers leave the peloton. That's what we hope to do in any race we enter! It also mean taking off in a lyrical sense, musing which is often what happens when we admire a sunset out in the ocean. Envolee is our adventure partner and we can't wait to take off with her. 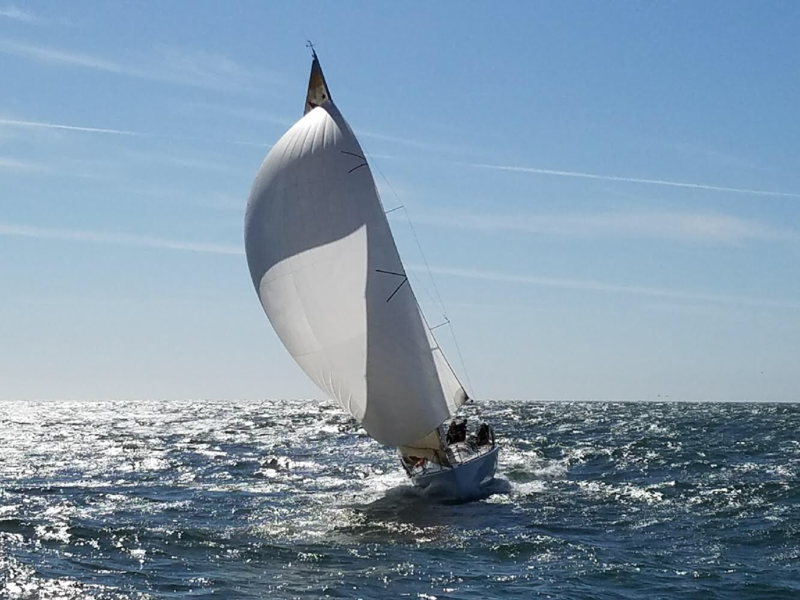 Crew Adventures: Team Shut up and Drive is participating in Swiftsure as a primer to R2AK. The team has raced extensively together and welcome the Figaro 2 Envolee to their family in 2016 for more offshore adventures. Notable races that some or all of the crew has done over the years include the Vendee Globe, Route du Rhum, Single Handed Transpac, Solitaire du Figaro, Pacific Cup, Coastal Cup.